Together with my family I visited Paris which is the one of last private holiday visits out of Denmark I will have. For 20 years I have saved a sum to use on this purpose disrupted by illness and the life-changing injury I got in 2016 where a van took an illegal right turn causing it to collide with me on my bicycle. The destination was Paris. It taught me an important lesson that it is important to separate your work life from your private life a bit more. When we talk work, Paris is a good place to be. It is easy to travel to the office using local trains and the metro. The area around the office is filled with life when you go down to Vitalis (local salat bar where I always eat) and collect your lunch. However it was a mistake to drag my family out to Billancourt. Some areas of Paris die at 17. We never visited La Defense where a Danish architect designed a more modern version of the Arc de Triomphe just for the same reasons. Billancourt was disappointing. Fortunately other parts of the town saved the holiday for us. I will mention some of the topics surrounding our holiday. The hotel Hibiscus was not of the standard we are used to in Denmark. 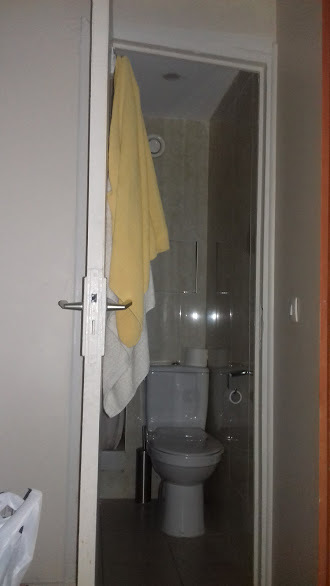 Of course we were not in Denmark but designing a toilet where there is no space at all between the wall leaving no space for one of your legs when you sit down on it, is a so huge mistake that even the worst craftsman in Denmark could not have down a such poor job. Why did they not make the angle from the wall bigger. Then they could also clean it properly. There was not even room for a hand between the wall and the toilet. The hotel which carries both the pride and reputation of an entire country and hotel industry however taught us that we should be happy living in a country where the standard are so much better and it is up a country like France how they want to display the standards they offer for people who have saved all their lives in order to be able to visit their country. We were warned in advance. People who spent all their day trying to trick people and steal from them. When you visit the Eiffel Tower you are mentally prepared to literally fight your way through a mob of people trying to tell their plastic versions of the tower and what else that could resemble something from the tower. They are very aggressively but when you leave you leave the area fast. That is no problem. At Place du Tertre where we went because I thought that my daughter could use some inspiration to continuing her promising art hobby (she paints) a guy bumped into my family and before they were able to figure out what took place he had cut a profile of my daughter in paper. It tooks second and did cost us 20 euros for this piece of art (It looks like her). While visiting this place and the nearby church Sacre Coeur I decided to get a portrait made of my children. While it looks like them, it also does not look like them. Maybe it is because the painter asked them to smile which they almost never do as they are part of a generation hit by crisis and hardship. My son had 16 math teachers during his so far 9 years of schooling because I could not afford a private school. (The Danish parliament decided to destroy the public school system back in 2013 but that is another story). I would like to take this opportunity to warn people against this area. Even the cash redrawal machines in the area overcharge you when you take cash out (The artists cannot be paid with credit card). A lot of times we were approached by beggars and people stood up in the trains and spoke arms and legs missing while their family stood nearby looking welfeed and eating Lays chips which I only can afford to buy using one of the many anti-food-waste apps the supermarkets in Denmark have. I understand that their police have other priorities and I respect that. Everywhere just as in Denmark people are homeless and sleep on the streets. They have to live of something. 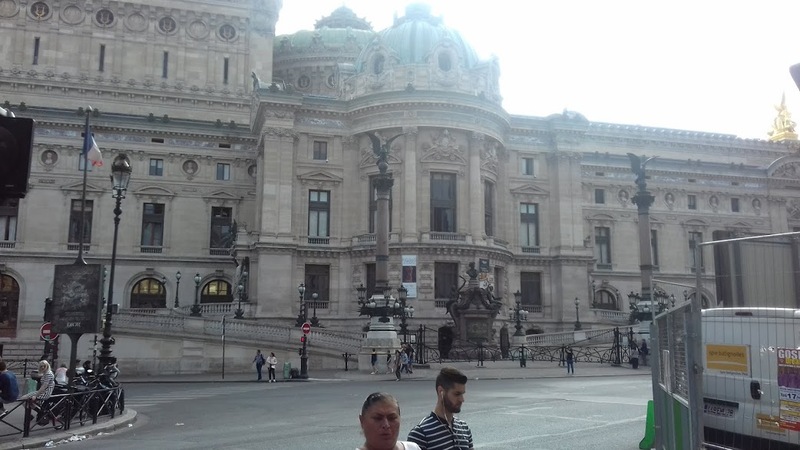 If you visit Paris you just have to be alert all the times. We were also cheated by the Brasserie Le Rex in Billancourt who took our order for food only to return 10 minutes later telling us that they had closed down their kitchen so we only could get salad. We consumed some of our drinks so we had to pay for those and we left this place after having paid 23 euros while continuing to be hungry. It is just so cruel to take advantage of people. Please – If you do not like foreigners, please say so. Living in Denmark I will not be offended if people tell me that I am not welcome as foreigner with my money to spend. There are other places I can go. There should be more apps telling tourists how to get cheaper metro tickets. You can buy 10 tickets inside the city or a fair price compared to Copenhagen where public transport is so expensive that I bike 2 times 30 kilometers everyday to work because the price of public transport otherwise would make it a loss going to work instead of staying in unemployment but the amounts of tickets pile up. There were days where we talked 30,000 steps and while I ran Marathons and are used to blisters the feet of my family are taped like they were running one. In Paris you need to use the metro system due to the distances. I learned about something called Navigo Pass which I would very much have learned about in advance. 23 euros per person which would have covered our needs for the entire stay. But it was impossible to find something online about before our trip. We did not use Taxi. Because I decided not to work with sales or marketing but rather something in my industry which are interesting for me but have no priority in the business, I rarely use money on Taxi or Uber at all. My son plays Guitar and we found an interesting neighborhood near Sacre Coeur. There were a lot of shops and you will not be disappointed if you go there. Just google them on the maps. They also have an Audio Technica store. Clothes you also can find. My daughter visited Darkland and “Boy Loove Girl” where she found clothes fitting her mood. Places like Darcy have good and wide selection of electronics. 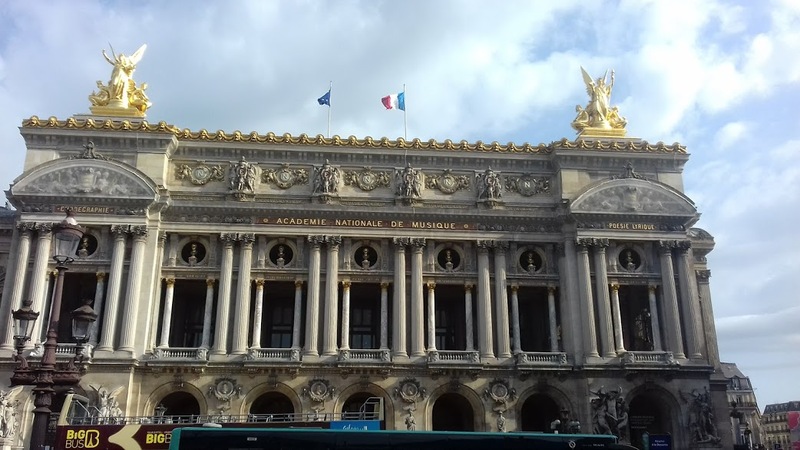 Do not miss Les Halles, but for ordinary Danes the more cheaper neighborhoods between Les Halles and Place de la République is more interesting. In Denmark most of the shopping malls have empty stores because the Internet shops have closed down 30 percent of the shops so if you have to buy something special you need your computer, but here they have shops for everything. Over near Bercy there is a neighborhood with direct import from China regarding computer parts. There are interesting shops to find but use the Internet to research and get the addresses in advance. Well. You cannot visit paris without speaking of their food. 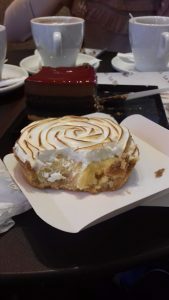 We ate the properly best cake of our lives at Boulangerie Blé d’Or. I have never tasted such a perfect balanced cake. We were 3 people sharing a cake designed for 6 persons and the staff wondered how we found room for all that food. But as my son said “This cake saved our trip”. The cake called “Las Vegas” did cost 25 euros but was every single cent worth. 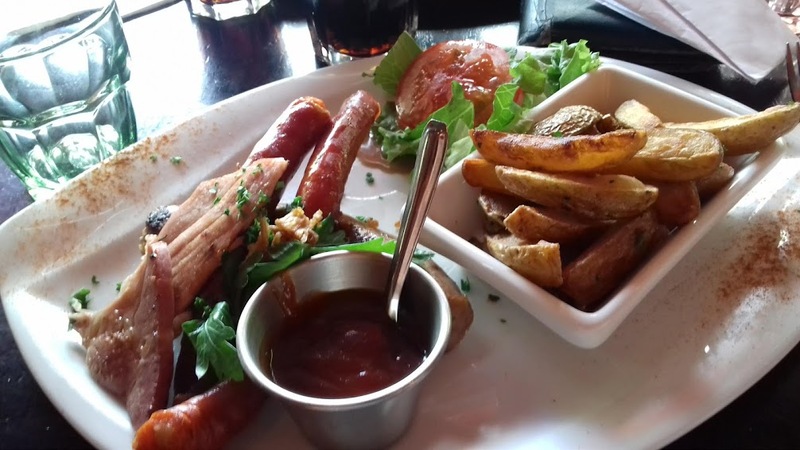 I got a very good burger at “Le Petit Voisin” which is an opinion I share with my son. The structure of the meat was perfect. My wife and daughter praised their entrecote. We also got good burgers at PNY Oberkampf where we also tasted their desserts. Perhaps a little less whipped cream would have made the dessert a masterpiece but it had good taste for sure. At “La Kanal” near the catacombs (My daughter see dead people in general) I got a mixed grill dish which introduced me for new well-tasting combinations of meat and sauce. I could mention a bar like “Cafe du Temple” where we enjoyed coffee and dessert. I could mention “Aux Péchés Normands BIO” which was a life saver when the hotel did not even have space so we could sit down and have breakfast and the coffee tasted worse the mixture of oil from the machine room they made coffee from in the old days when we used ferries to Jutland. 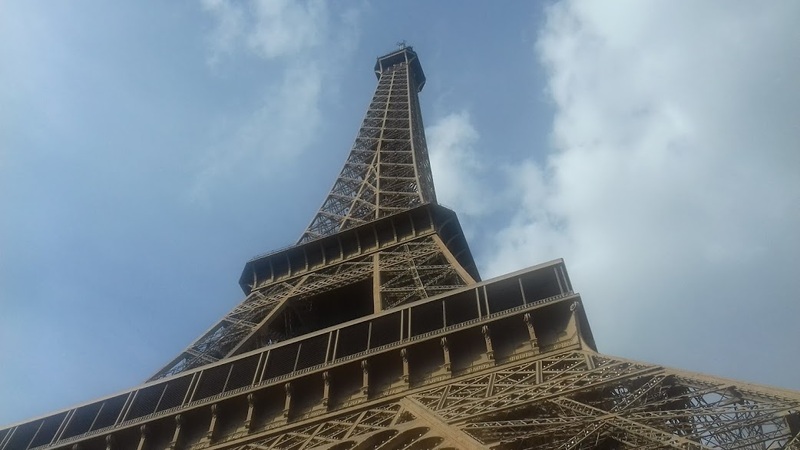 Of course we visited the Eiffel tower. It was a first for me and properly also the last. There are increased security and the entire area is fenced off. Queues are long unless you order tickets in advance. Outside the fence as I mentioned above you a almost attacked by aggressive salespeople. The experience is fine but do not money for the binoculars. You have about 10-15 seconds before you will have to pay again. Waste of money. Bring your own. On the first platform some of the places were about to be rebuilt. We were just not lucky but overall the experience was positive. 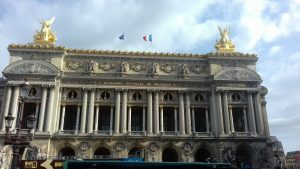 We visited the Opera Garnier. We ordered tickets in advance and were saved the queue. Good experience and a highlight on the trip for my wife. My daughter saw dead people together with my wife. Again we had pre-ordered tickets for the Catacombs and please do never go there without doing so. People stood there for hours. 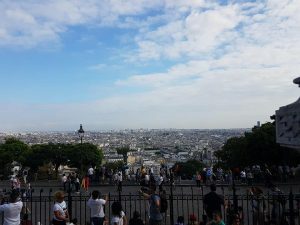 We visited Sacre Coeur. It was a hard trip to the top. Please bring water. They know that you are thirsty and the prices are double at the top. 6 Euros for a small soda of 25 cl where it cost you 3-4 Euros down in the city. Of course we walked to the top and we were so tired. However there are no regrets. Outside the church there are great view of the entire city. Then there are the area with the painters nearby. But please watch out as I wrote above. 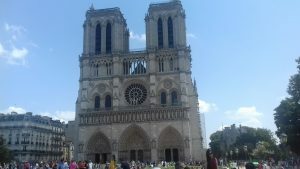 We did not go inside Notre Dame. The queue was very, very long. While we did not find time for the big Arch, we passed Porte Saint-Denis and Porte Saint-Martin which were erected due to various victories. If you consider Paris, please pre-order when possible. It takes something from the experience when you have to plan your holiday so you have to be at certain places at certain times. It removes some of the fun being able to making sudden decision. However that is a reality you have to face if you want to be a tourist in year 2018. When you go to Paris you have to prioritize. You have to skip something unless you want to run to every place and please into consideration that you will walk many kilometers every single day. We had to skip Louvre. We had to skip the Arch and many other things but we got our money worth in the area and that it is important. I used half my life saving set aside for traveling abroad. I have one last visit planned abroad on my bucket list. The next holiday abroad planned in set to 2021. Of course I will go abroad related to my work and if others invite us somewhere but I was really one of the last big things in my life which is in its ending if I look at the previous generation which departed aged around 60. Am I satisfied? Yes. I have to say that while Paris certainly had its negative issues, the overall picture is that it was a good experience and something I will look back upon while I count the days I have left. Dette indlæg blev udgivet i Oplevelser og tagget 2018, beggars, Eiffel Tower, family, food, holiday, hotel, Notre Dame, Paris, Sacre Coeur, scams den 14. juli 2018 af Carsten Overgaard.